Skylanders SuperChargers is ranked in the 81st percentile of games scored on OpenCritic. It's a game for kids, sure, but adults can easily find a lot to love about this game, and the franchise as a whole. It's nice that this time around players aren't expected to buy every single vehicle to unlock everything in the story mode, but seriously, how can you resist Shark Tank?! Vicarious Visions really shocked me with the quality of SuperChargers, and has taken this franchise to new heights. Young or old, this a game everyone should enjoy. Skylanders: SuperChargers ups the ante with interactive vehicles, multiplayer action, and endless fun. 'Skylanders SuperChargers' is that game that can make the toys to life concept feel exciting again. It can pull together different family members locally or online, and you better believe it will make players want to get a boat and plane to augment that vehicular fantasy. There is depth and variety, but some areas are much more polished than others. It's an obvious buy for existing fans, but the vehicle dynamic makes it a nice choice for anyone who might want to dip their toes. Skylanders: SuperChargers is just bursting with content, and fortunately, all of it is great fun. If you're invested in the series, SuperChargers is on par, if not better, than the best the series has offered in the past. If you're a newcomer, SuperChargers is a fantastic jumping-on point, as it has the lowest barrier of entry to see the majority of the content. As opposed to past games, which were filled with eight different elemental gates, the only gated story content is with sea and air vehicles. Even factoring out the sea and air segments, SuperChargers is still stellar. The Skylanders series is now into year five and as long as they keep being this entertaining, varied, and lively, then each one should still be worth playing, whether you're 7 or 27 years old. This isn't just another update to the Skylanders series, it's the moment the game properly comes of age both from the perspective of top notch gameplay as well as offering families exactly what they want in terms of value. Also, those amiibo-Skylanders are fantastic. The latest chapter in the Skylanders series shows that this name still has a lot to offer. The amount of content and the adding of vehicles, as well as the presence of guest stars Donkey Kong and Bowser make this yet another significant entry in the series. At the end of the day Skylanders SuperChargers is yet another great entry into the Skylanders Franchise. Superchargers is another impressive evolution in the Skylanders brand that series fans and newcomers alike should not miss. 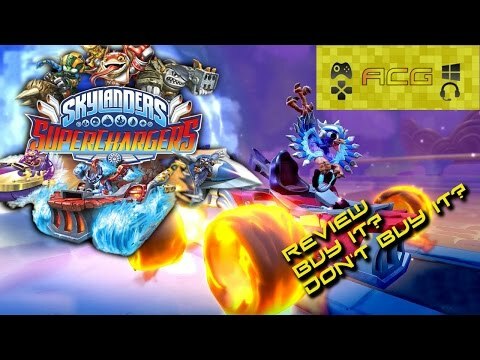 Even though some might be groaning at the cost of having to buy all new toys with it (relax, older ones work just fine as well), Skylanders SuperChargers still qualifies as one of the better games in the series to date. It's fun to play whether in a vehicle or running around, and it looks and sounds very nice for the most part. If your wallet is prepared, you'll have no problem reaching top speed with this one. While fans of the series need no other reasons to buy this, platforming fans who don't mind a few toys on the side will find that this is worth checking out. Skylanders SuperChargers continues to deliver the fun and accessible experience that the franchise has become known for. The introduction of vehicles adds further variety to an already expansive game world. Skylanders: SuperChargers is easily the series' most polished and content-packed iteration thus far, making it a must-buy for all fans of the toys-to-life genre. Chock-full of content and fresh ideas, Skylanders SuperChargers revitalises the toy-to-life series by seamlessly integrating racing into the mix and cranking up the variety. Skylanders: Superchargers is an absolute blast to pick up and play, even if you've never had a single moment of experience with the franchise. 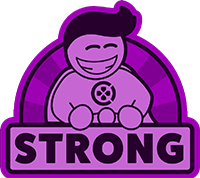 The story delivers an opulent variety of different styles of gameplay and adds another solid rung to the toys-to-life genre. I never thought I'd admit it, but Superchargers is one hell of an amazing time. While others may be trying to come for the throne, this old dog certainly picked up some new tricks to keep itself in the fight and show everyone how it's done.. The writing, humor, and story structure are such that they not only get the job done, but are actually fun to experience, making Superchargers a great option for almost any age. While older gamers might find it aimed at a younger crowd, it's still a great game and opportunity to bring together families and siblings. The addition of vehicular gameplay as well as the ability to play online with your friends makes Superchargers a solid addition to the franchise. The high cost required to fully enjoy the whole game as well as the inability to separately purchase the Nintendo toys, however, is a bummer. Overall, though, fans of previous games in the series will enjoy this one. Activision and Vicarious Visions have seemingly done the impossible by keeping Skylanders fresh for its fifth outing. SuperChargers is jam-packed with enough content to fill at least two separate games and it's all quality stuff. Try to get over the kids-only stigma Skylanders games might have, and let yourself enjoy playing in this world. Skylanders: Superchargers offers more than meets the eye, and you might find yourself pleasantly surprised. There's a reason that Skylanders] has survived so long. Even without the Toys to Life aspect of the title, the game is addictive fun whether played alone or, even better, in co-operative mode with a friend. The new aspects added in this latest incarnation add a whole new dimension to the play and it is done very well indeed. The vehicle-based parts of the stages are great and all of the race-based aspects are a superb addition to an already established universe. Skylanders SuperChargers is the best in the series yet and proves that LEGO Dimensions and Disney Infinity still have a yardstick to reach. Skylanders Superchargers provides what we've come to expect from the series: high production values, fun for all ages, and reminders that you could spend a whole lot more on additional toys to play with. Skylanders: SuperChargers is a great family game with replay value, as long as you're willing to keep buying figurines. This is yet another awesome game in this series and I am pleased to report that I can highly recommend it. Through its solid workmanship, cool settings, and myriad content, Skylanders: SuperChargers demonstrates Activision's lofty fantasy world is still a fun place to visit. Kids will love it, obviously — and if you're an adult fan of 3D action games who's yet to make a brief stop-over, maybe it's time you did so. ...a solid addition to an already well established franchise. Fans will view Superchargers as the next evolution in Skylanders and I hope to see the vehicles being used in incoming Skylanders titles because it really does add a whole new layer of first-rate entertainment to the mix. Let's rock and ride! The series is getting long in the tooth, but I still think it has plenty left to offer, and if they continue with the vehicles in future games, I hope they iron out the problems presented in this version. Activision has once again dropped a solid, functional Skylanders game. If you're looking for a game to get a child this season you really can't go wrong with Skylanders: Superchargers. If you don't mind shelling out yet more money for the new figures, Superchargers is probably the best Skylanders game yet. There's a lot of fun to be had in this year's Skylanders, with the new vehicle content being more than just another gimmick. The inventive platforming and a fantastic Mario Kart-style sub-game also help keep things feeling fresh. On the downside, it's also the most expensive Skylanders yet, requiring an investment of nearly £80 to get the most out of the game. On balance, the generous package and the cool toys make it all worthwhile, but prepare to empty your wallet during the year ahead. Skylanders Superchargers could have been a contender, but the enforced arena vehicle sections mean that it only sputters along in the middle of the pack.